Different, yet intuitively familiar for even the least experienced operators. The 920i® is truly the first of its kind to blend revolutionary user interfaces, total flexibility and ultimate processing performance with the simplicity of a basic weight meter. We have taken the best features from weight instruments, PLCs and computers and added more robust electronics, a crisp graphical display and programmable softkeys. 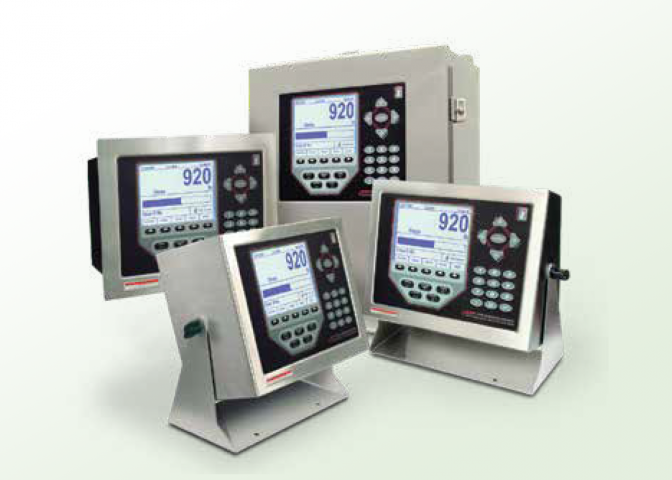 Put it all together inside a virtually indestructible enclosure and you have one of the most advanced HMIs the industry has ever seen. Adding an entirely new dimension in flexibility for solution providers and users alike, the 920i® delivers simplified customization at a fraction of the cost of traditional process instrumentation. From tailored “basic” weighing, to complex process automation, the 920i® gives you exactly what you need, exactly the way you want it.